Hydroponics is a method of growing plants in water without soil. Many Cambodian people are interested and make a business to grow plants, fruits and flowers since 2013. 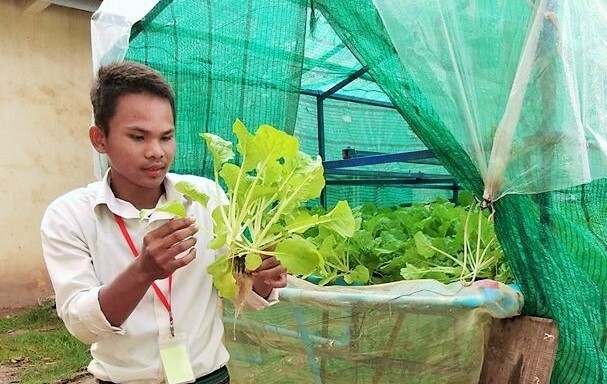 In the city, many Cambodian people know how to grow it and they can taste or eat local products instead of unknown vegetables which affect their health. 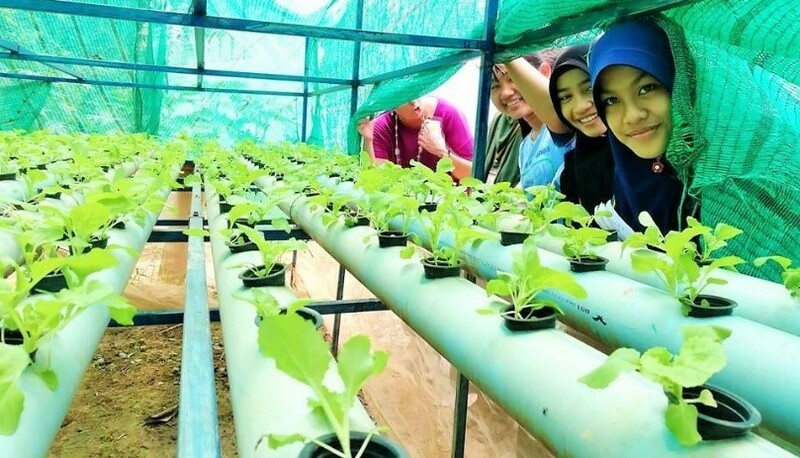 Today, we introduce Hydroponics activity to ACCESS students studying in Peus II high school located in rural area funded by US Embassy to gain new knowledge and skill of growing plants in water without soil. Therefore, students can acquire the skills and are able to extend growing plants at their houses if they have enough resources to run small business in the future. 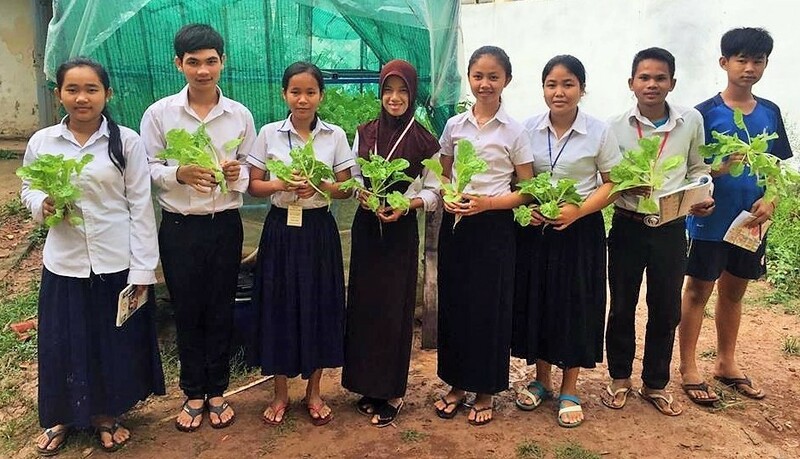 A life skill project staff from KAPE provided a two days training on Hydroponic Spicy Cabbage gardening to 40 ACCESS students at Peus II High School in May 2018. Students could learn to germinate plants, to mix nutrients, to take care and collect plants. The plants will be collected to eat or sell after growing about 25 days. “I am very excited and happy to see the Spicy Cabbage grow well and colorful. I often follow up them during my break time. It is not a hazardous job, I just make sure the water is running well and Vitamin A and B is pouring within 15 days of growing. It is about a week, my team will collect these Spicy Cabbage to cook and eat for lunch solidarity and sell them to get some money to buy new seeds to grow in the future. Next time, we will grow red Spicy Cabbage,” Yoeun Yi, a grade 10 student said.